Songs, poetry, piping, dancing – and, of course, whisky – are all on the menu as the 32nd Fèis Ìle gets under way on Friday. All of the eight Islay whisky distilleries – plus neighbouring Jura – are set to open their doors with a host of events, masterclasses, tastings and special Fèis bottlings during The Islay Festival of Music and Malt. But whisky is just part of a broader celebration of the island’s culture, lasting from 20-28 May and including songs, poetry, history, piping, food, Gaelic classes and sporting challenges. In addition, the Scotch Malt Whisky Society and Islay House host a free garden party on Friday, held at Islay House, Bridgend, from 1pm-10pm (including a chilli-eating competition); and Islay Ales holds its open day on Wednesday, 25 May at Islay House Square, including the release of its Big Peat Cask Matured Ale. Fèis Ìle can trace its origins to 1984, when fears that Gaelic language and culture were under threat led to the foundation of the island’s first Gaelic Drama Festival. Extra events, including workshops for traditional instruments such as fiddle, flute and tin whistle, were added, and the realisation dawned that a broader cultural festival would attract people to the island – a welcome boost at a time of high unemployment. 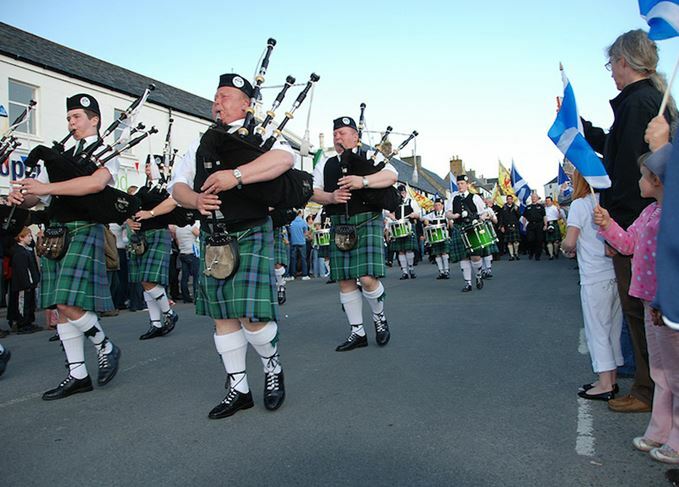 The Islay Festival Association was formed in 1985, and the annual event started life as a fortnight filled with music, drama, workshops, talks, walks, ceilidhs, concerts and carnival processions. The festival quickly became established in the broader bilingual community, but whisky didn’t make its (official) debut until 1990, when the first whisky tasting event was won by local man Dougie McDougall (with current chairperson Florence Grey runner-up). In 2000, the distilleries became more closely involved in Fèis, introducing open days and, in time, special commemorative bottlings. This year’s event is expected to attract thousands of visitors to Islay, with the island’s population set to treble during the event. Scotchwhisky.com will be there for the duration of the festival, with daily reports on distillery events, and tastings of all of the distilleries’ commemorative Fèis bottlings.